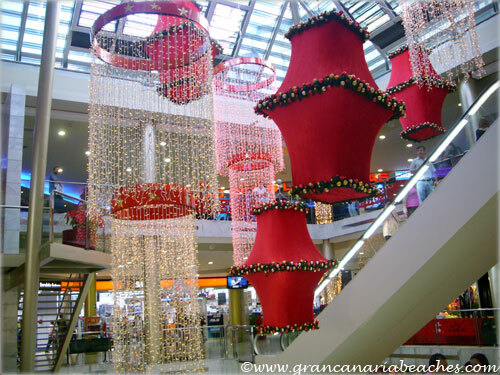 Las Arenas Shopping Centre ("Centro Comercial Las Arenas" in Spanish) is the best bet while visiting the capital, Las Palmas de Gran Canaria. 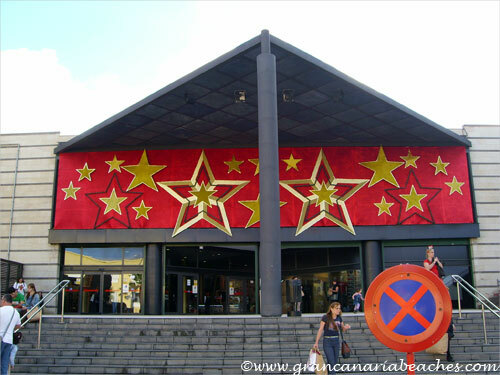 It has a huge Carrefour hypermarket and over a hundred shops and restaurants, where you can literally spend the whole day there with your family. It is around a 15 minute drive from the city centre. We have upgraded this shopping centre to five stars, and definitely recommend visiting it. Their management team is always looking to improve it, and you can check out the exhibitions and other activities, that take place there, throughout the year. There are plenty of exciting shops in this centre. 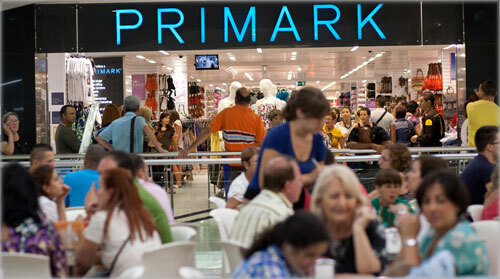 If you're looking for bargains in clothes, then you can check out Primark, which is one of the most popular shops. If you are looking for quality and fashion, Zara has a shop for men and another for women. 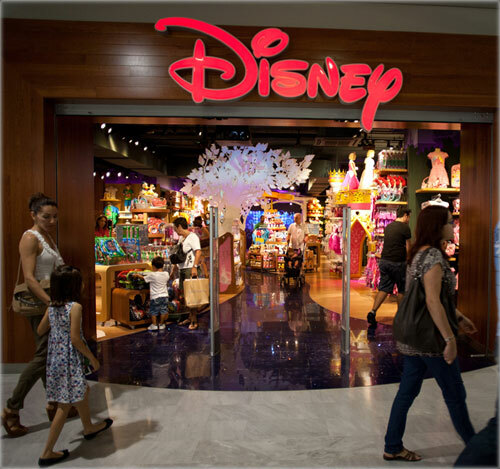 Other interesting clothes shops you will find there are: C & A, Mango, H & M. For the kids, there is a Disney Store, a Toys'r'us, Hello Kitty, and a huge McDonald's, which has been fully renovated in September 2012. For the technology fans there is the German electronics / computer / telephone Media Markt superstore, a "Game" video game shop, and plenty of cell phone shops. For the sports fans, there are half a dozen stores. "Sports Zone" is the biggest. You will also find an exclusive "Adidas" store. Other sports shops that you can see are: Decimas, Estadio Sport, Botiga Barca (Barcelona football team gear and souvenirs), and Intersport. You can also find a fishing gear shop called Fishobby. 1) Carrefour - Without a doubt this hypermarket is what attracts everyone to this shopping centre. Whether it is food, electronics, or affordable clothes, everyone must visit Carrefour. It has a very big variety of almost everything. Remember to pick up their latest offers printed catalogue at the entrance. 2) Primark - It is really hard to resist the bargains of this Irish clothes and household items store (shop is Irish, but goods are mostly Chinese or from the far east). Whenever I visit this shopping centre, many people have the brown Primark paper bags. I really like the way the clothes are placed in the shop; great merchandising techniques have been used, which make it really hard to resist buying something. 3) Media Markt: This European giant sells all the technology items like computers, electronics, mobiles, cameras, etc. You can even buy washing machines and irons, but most people come to look for bargains on tablets and cell phone items. It is a good idea to pick up their printed catalogue at the entrance. An important thing to keep in mind is that although you might see great offers in the catalogue, many times the items get sold out too fast, because they order limited quantities. The sales staff will tell you to get your name on a waiting list, and that they will call you when the item arrives after a few weeks. At the same time, they might try and sell you another similar item, at the regular price, so keep that in mind. This has happened to me a few times, so don't get disappointed if you don't get what you went to buy. Another bit of advice I give everyone is to make sure that you choose an unopened box (because they sometimes "accidentally" mix returned items with the new ones), and open it yourself to make sure that the item works perfectly. I generally open the item while waiting in line to pay. 4) Zara group: The Zara group has quite a few shops in Las Arenas Shopping Centre. It has one Zara shop for men, another for women. The "Massimo Dutti" and "Pull and Bear" shops are also worth visiting. Huge variety and good quality. 5) H & M: This Swedish chain of clothes shops has a huge store in Las Arenas Shopping Centre. They have clothes for men, women, and kids, and offer a one month return guarantee on all items. 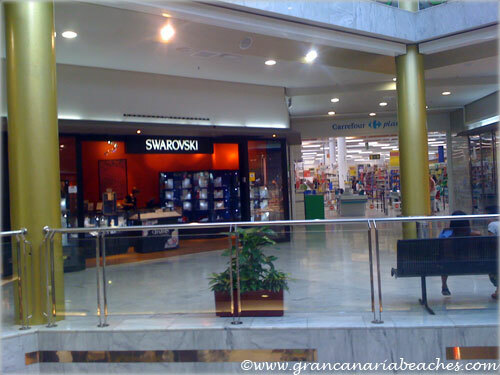 The Irish Primark company's big store in "Las Arenas" attracts local and tourist buyers. Kids love the Disney Store!!! 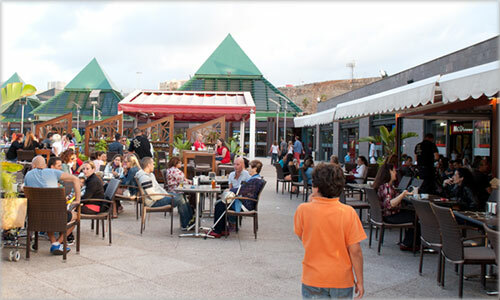 If you like eating and drinking in the fresh air, "Las Arenas" has quite a few open air bars and restaurants on the top floor. Click here to see a complete list of shops, bars, and restaurants (opens in a new window). This shopping centre is easy to reach, and has plenty of different transportation options to get there. 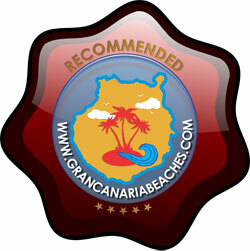 Walking: Las Arenas is located at the end of the Canteras beach, and it is a pleasant walk on a sunny day. About 15-30 minutes depending on what side of the beach you are on. By Taxi: Hop on the taxi and shout "Las Arenas!!!" About 6 euros from the main bus station. - No. 17 from the Teatro bus station, Main Bus Station (San Telmo), Mesa y Lopez bus stop. - No. 25 from the university area, calle Primero de Mayo. If you are coming from the south of the island, by bus, it is a great idea to get down at the main bus station (known as San Telmo) and take one of these blue buses. A ticket costs 1,30€ and will get you there very much faster than the yellow buses. It is very rare, not to get a seat in these buses. I don't remember having to stand in one of the blue buses in the last fifteen years, unlike the yellow buses which are overcrowded. By Car: 3 free hours of parking or 5 hours if you go to see a movie. Opening hours: Monday to Saturday from 10:00 to 22:00 hours. Sundays only the restaurants and cinema are open, except during Christmas. 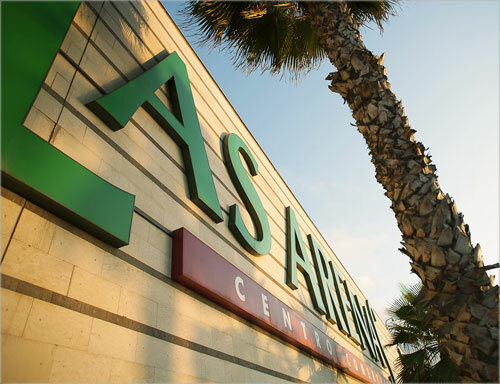 On the following Sundays of December 2013, the whole Las Arenas Shopping Centre will be open: 1st, 8th, 15th, 22nd, and 29th of December.